Henry Pittock on the Georgiana Trail, sometime between 1914-1918. 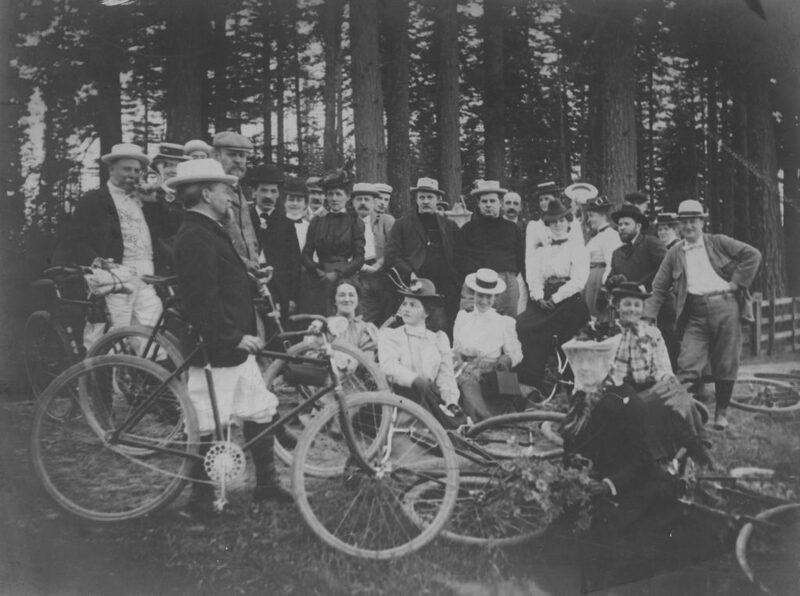 Like many Portlanders, the dream of outdoor adventure is part of what attracted Henry Pittock to the Northwest. As a young man in Pittsburgh, Pennsylvania, he read an account of a rafting adventure on Idaho’s Snake River in his local newspaper and was inspired to head west. Over the decades, Henry approached the outdoors with as much passion and drive as he did his business pursuits. An avid hiker, climber, and bicycler, Henry loved the outdoors and encouraged his family and community to enjoy the outdoors as well. 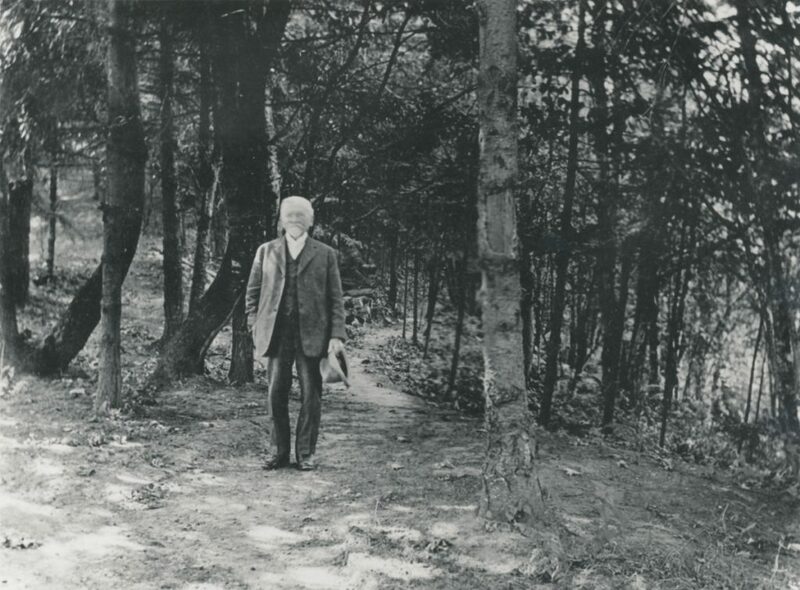 Left: Henry Pittock working on a trail on the Pittock estate. Daughter Lucy is standing next to him. Right: The mattock Henry used to clear hiking trails. Henry chose Pittock Mansion’s location because of its forested setting and outstanding view of the Cascade Range. He enjoyed exploring the forest behind the Mansion and clearing hiking trails. The mattock Henry used to clear brush is in the Pittock Mansion collection. James Skene, the Pittocks’ estate steward, said Henry also kept a small axe in the Cloak Room and would take it with him on walks to maintain the trails. Henry named one of his trails the Georgiana Trail in honor of his wife. The Georgiana Trail ran along the hillside north of the Mansion and Garage towards what is now Macleay Park. 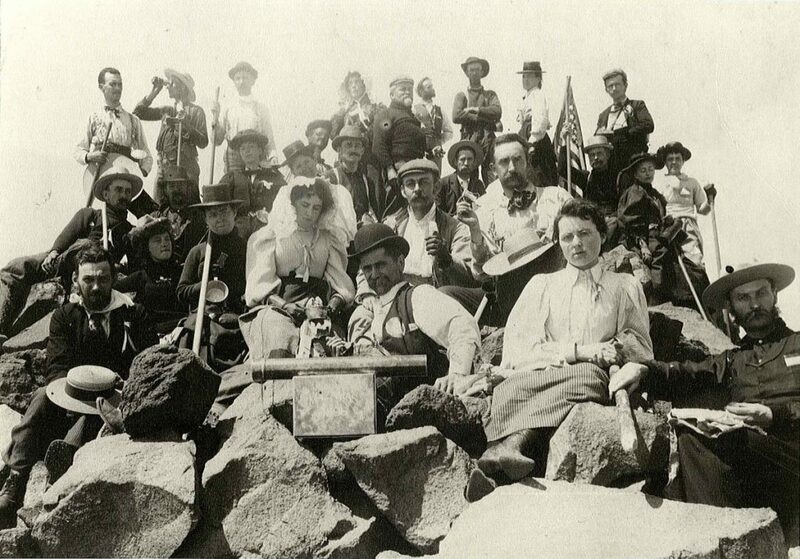 Mazamas on Mount McLoughlin, 1896. Henry Pittock is standing in the center of the back row. Henry on a bicycling outing circa 1900. 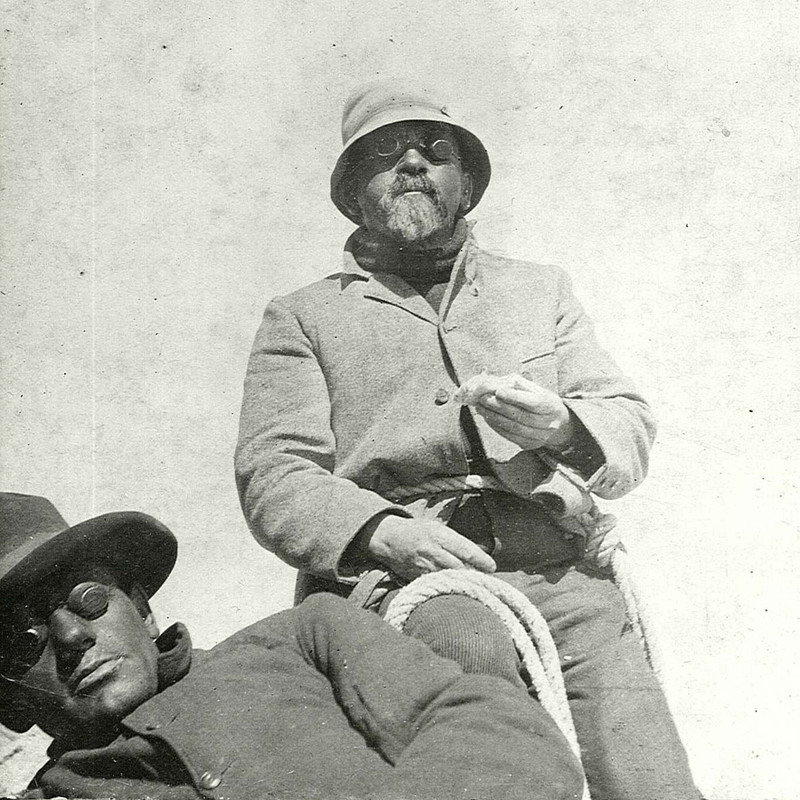 Henry Pittock, center, possibly atop Mount Hood during his 1895 climb. The other man may be mountaineering guide Will Langille.